I think it was all the pictures and the details that really made me decide on this recipe. The dinner rolls really looked delicious. I also liked the way Jami (the blogger who wrote the recipe and took all the great pictures on the page I've linked to above) also included a printer-friendly version of the recipe at the bottom of the blog post. That helped me know what ingredients I needed, gave me a quick overview of how long the whole process would take, and told me what steps where involved in the process. I found this recipe months ago and just finally got around to making it yesterday afternoon. I found myself going back and forth between the printer-friendly version of the recipe and the pictures with detailed info about each step. It was easy enough to follow along. I didn't use Jami's suggestion of pressing down the dough and cutting it into 24 equal pieces. What I did instead was cut the dough in half, cut it in half again, cut it in half again, and then cut it in 3 equal pieces. This resulted in 24 almost-perfectly-equal-in-size dough balls. My rolls were a little stickier than Jami's were. Maybe I had a little too much liquid in the batter or not enough flour. I found the rolls sticking to my hands when I was trying to shape the dough into balls. My solution: spray my hands with Butter Flavor Pam. It worked like a charm. My dough balls still weren't perfectly round, but in the end, it didn't matter. I only made a couple other (calorie-saving) changes to the recipe. 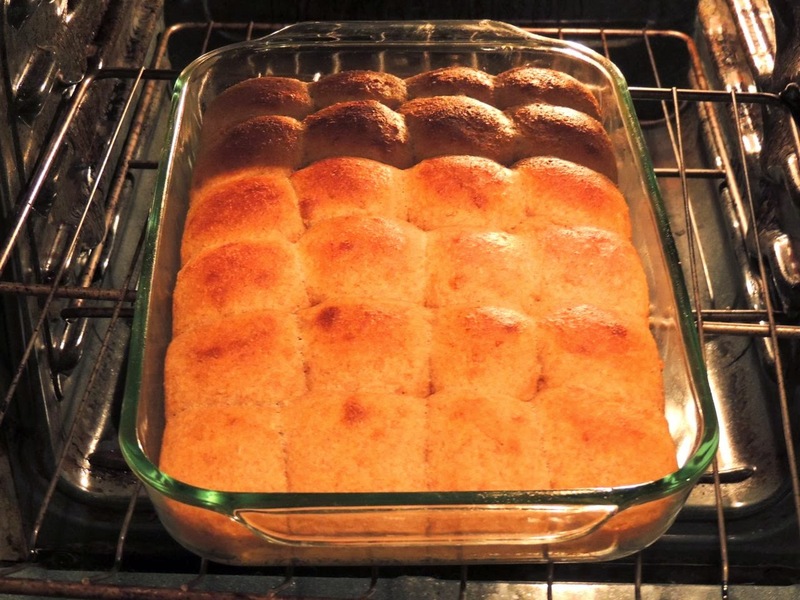 I used Butter Flavor Pam to grease the baking pan instead of using butter, and instead of brushing melted butter on top of the baked rolls, I sprayed them with I Can't Believe It's Not Butter Spray. 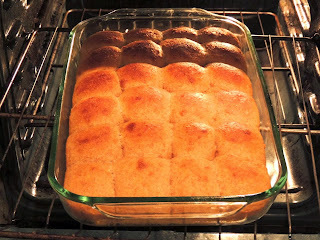 I baked the rolls in a preheated oven for 20 minutes, and they looked amazing when I took them out of the oven. They made the kitchen smell so good. 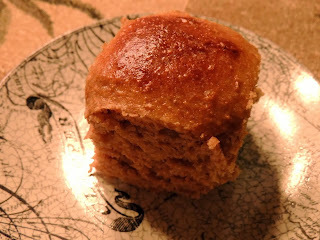 The rolls have a great honey wheat flavor, a nice smooth texture, and they weren't too dense. They'd be perfect for sliders. I'd totally make them again. 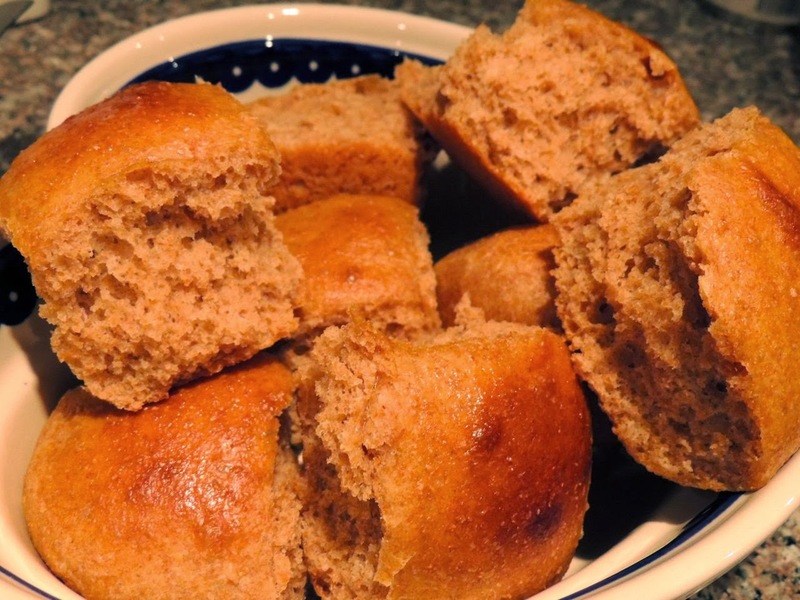 The comments at the bottom of Jami's recipe mention that these rolls freeze well. I hope so because I stuck half of mine in the freezer last night. It'll be great to know they're there and pull out a couple for future meals.